We welcome all to share with us in our services of worship & praise. ~Our Service of Worship is each Sunday at 10:30 a.m.
To share the gospel of Jesus Christ with our community in our worship and our living. The Bible has the ultimate authority as the true, infallible and complete word of God. Salvation through a personal relationship with Jesus Christ and belief in His finished work on the cross is preached. The Gospel of Christ is spread in our community, our nation, and around the world in both word and action. Believers encourage each other and hold others in higher regard than themselves so that each may use the gifts God has given him/her to the glory of God. 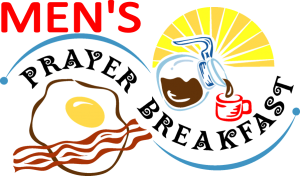 Join us for the Men’s Good Friday Breakfast on Friday, April 19th at 8:30 AM with the Rev Ritchie Robinson serving as Special Speaker in the Church Hall. We will be meeting in the Church on Good Friday, April 19th at 1:00 PM for our Annual Good Friday Service. Please plan to attend. And as we move into Spring, plan to attend our Spring Tea in the Hall on May 4th from 2:00 to 4:00 PM. Enjoy a cup of tea and sweets and meet with friends as we welcome Spring. On Tuesday, May 14th at 7:00 PM, we will be hosting the Centenary College Choir from Louisiana in the Church. Please mark this very special time on your calendar. For additional information, see the bulletin for March 31 on our site. We encourage you to attend our Sunday Services of Worship at 10:30 AM to hear God’s Word and sing His praises. And please plan to attend the Time of Fellowship following the Service in the Church Hall. Come for the opportunity to chat with others and enjoy a cup of tea or coffee. Join us for Worship on Sunday at 10:30 a.m.